For over 45 years a magical voice that has no equal has been singing for the Indian Film Industry. That voice belongs to S.P.Balasubrahmanyam and the legendary singer celebrates his birthday today. 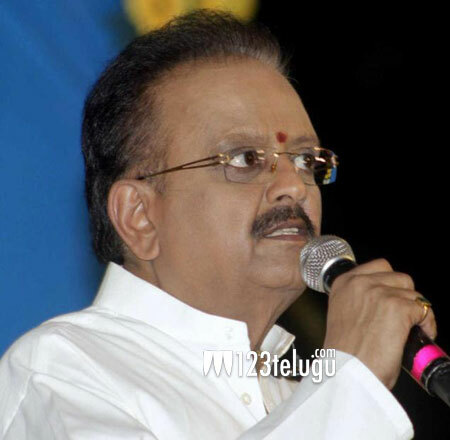 Born on June 4th 1946 into a Nellore Brahmin family, Balasubrahmanyam took to singing at an early age. However, at the insistence of his father, he joined the Engineering program at JNTU Anantapur. The singer dropped out of the course later. S.P.Balasubrahmanyam breathes life into every song he sings. A unique aspect of S.P.Balasubrahmanyam’s performance is his ability to alter his voice to match the hero’s own tone. Balu, as he is fondly known, has sung over 40,000 songs and he has won the Nandi Award 25 times from the State Government. He is also a six time National Award winner.The Government of India decorated him with the ‘Padma Bhushan’ in 2011. There is perhaps no other male playback singer in this generation who can match Balasubrahmanyam for his clarity of pronunciation and technical excellence.